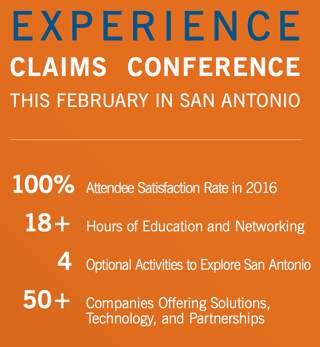 The CIS Claim Services team will be in San Anotnio, Texas for the 2017 NAMIC Claims Conference, from Febraury 7th - 9th. The NAMIC Claims Conference is dedicated to offering you thought-provoking speakers along with real-world tools you can use in your day-to-day work. Attend educational sessions developed by your peers and connect with vendors who are dedicated to your success. Create powerful peer-to-peer connections through networking while you relax and explore a beautiful destination. We are looking forward to seeing you in San Antionio!